How did Cdillac come up with that name “Arts and Science” anyway? Seemed kind of dumb at the time, even if it did represent a fairly new direction stylistically. Well, here’s a blending of brougham art and science, if one can dare to use the term “art” in the same sentence as “brougham”. Admittedly, showing pictures of recent Cadillacs sporting garish wigs is old hat, but who can resist an old hat on a Caddy? The more I look at it, the more I think this roof treatment suits this STS well enough. Hey, it’s a Caddy; certainly not one that I ever had any desire for. This is a fine pairing: the iconic Eugene-mobile in front of an alien interloper…from California, no less. Palm Springs? FWIW I liked Art & Science. But the fake fabric top totally ruins it for me. Turns it into Blue Hair & Boogers. That said, I got to drive one of these…a 2005 STS-4 with ye olde Northstar…down I-79 between Pittsburgh and Charleston, a dozen years ago. Very impressed. Especially at a buck-twenty-five. No, it didn’t have a fake fabric top. Just jet black and chrome wheels. Cadillac still uses the Art & Science name for its design language but it’s evolved from these “first-generation” models which were often quite slab-sided. I still love them, though, particularly the XLR. Reviews indicated these had a plush ride but sharp, German-caliber handling and you could also get Magnetic Ride Control. Pity Cadillac shot the STS in the foot by continuing to offer the DTS, which I’m sure peeled away plenty of regular Cadillac customers who just wanted a big Cadillac. The STS still sold about as well as the Lexus GS, though. It’s just the Germans have a stranglehold on this segment, pushing the American and Japanese offerings into a second tier. 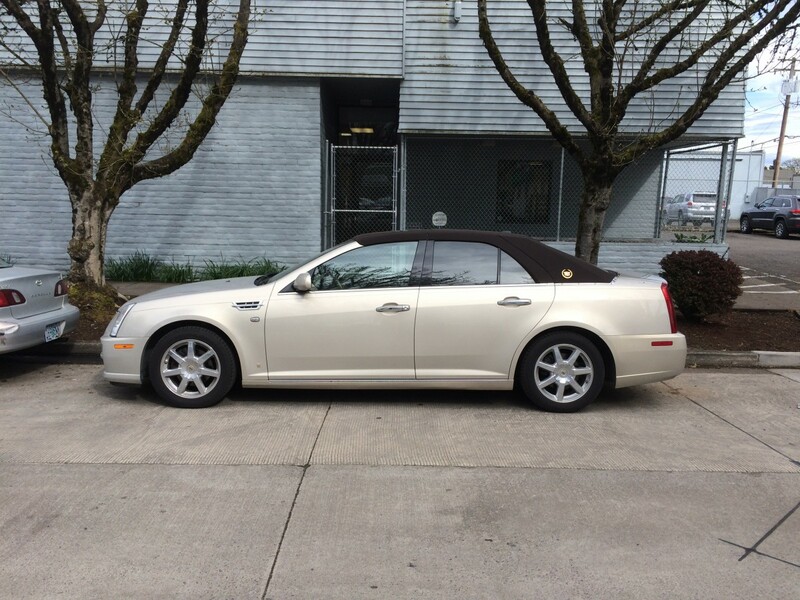 Yeah, a family friend of ours had a 2006 STS-V. That was a seriously-impressive car. At least Cadillac stopped offering factory vinyl roofs. Unfortunately, you can’t stop aftermarket providers. I’m generally pretty easy-going when it comes to people modifying their cars but god I hate hate hate these stupid roof treatments. 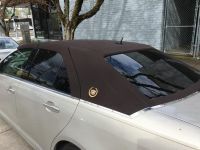 Even when the lines of a car are favourable to a vinyl roof – and I’ve seen more inappropriately be-vinyled cars than this STS – they still are, 9 times out of 10, horribly cheap-looking. I don’t know what would possess someone to pay money for this crap. As for the car, well I like the STS. Unfortunately, Cadillac sidelined it pretty quickly with the second-generation CTS and then didn’t give it a thorough enough mid-cycle refresh. 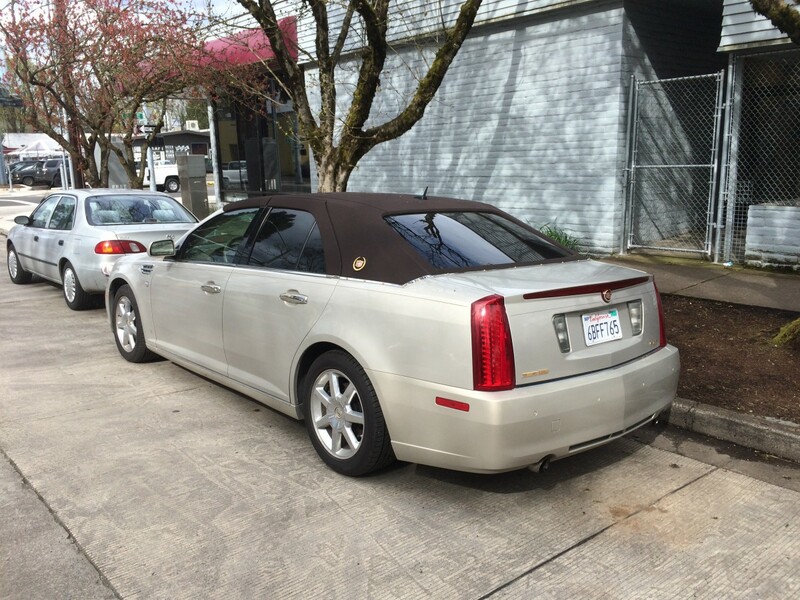 A vinyl roof is more appropriate on a floaty, soft Cadillac like a DTS. Is it any wonder that Cadillac sales are in a downhill spiral? 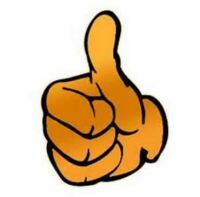 Caught between being an “Old Mans” statis symbol and trying to be a player against the likes of BMW , Audi, Lexus & Mercedes, They just can’t do anything right. GM has thrown huge wads of money into Cadillac with not much result. Is it too late to bring back Pontiac & Oldsmobile and dump Cadillac? I suppose it is. I personally think GMC is taking Cadillac’s place as GM’s “premium” brand. Art & Science, the way it was meant to be. And to go with that, Motor Trend’s “King of the Hill” comparison test from 1970. When the Road to Status ended at the Eldorado and the Mark III. I’ll take the featured STS, if I have to have one or the other. As far as modern cars with cloth/vinyl roofs go this looks pretty good. Though the snaps shouldn’t be there, I don’t think they make it look like a convertible and fact is real convertibles haven’t had them for decades. This quote by Bill C. pretty much sums up Art and Science. GM views their designs inherently as art, and the foreign cars as science – and Cadillac is going to bridge that gap! But what they continually fail to realize, and have ever since GM started playing the catch up game with mainstream cars, is that the “science” they seek is a moving target, not just in quality and efficiency improvements in mainstream cars but the gradual evolution of their German luxury targets from supposed driving machines to more and more lavish and styled boulevard cruisers, where today ironically a 5/6/7 series BMW is more in the spirit of a classic 1960s era Cadillac, while Cadillac is still chasing after the BMW that created the E46. 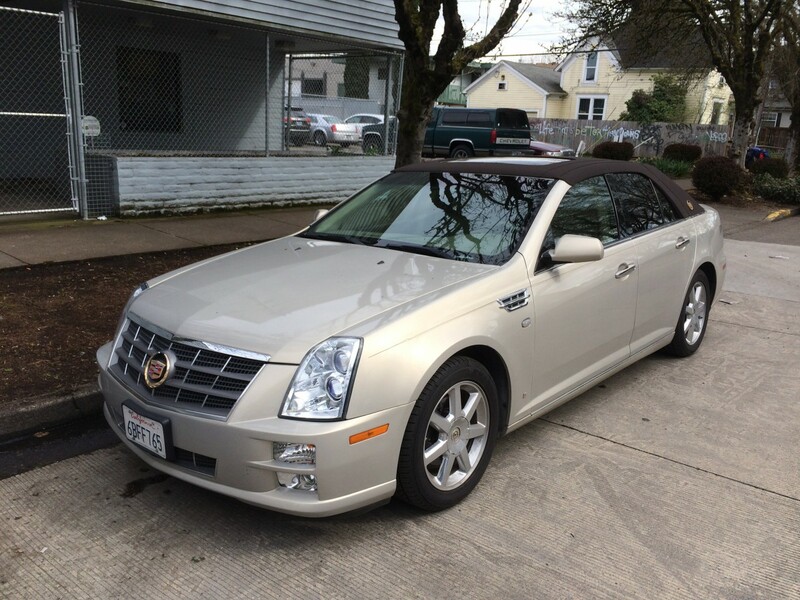 Personally, I think the first gen CTS and the XLR were the only cars that wore the “art and Science” guise well… 15 years ago. 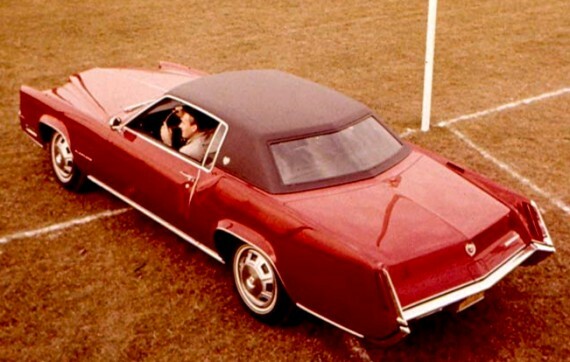 The styling itself is better than what Cadillac was peddling up to that point, which was an equally overly long and wrongly lauded over evolution of the sheer look themes established by the first Seville. But the art and science styling is just not that enduring, it looks solidly a product of the early 2000s when making the jellybean shapes of the 90s “edgy” was the latest trend, and that trend wasn’t even close to being started by Cadillac so they don’t even have an excuse to cling to it. That’s a very interesting analysis of why Cadillac isn’t doing well and it really makes a lot of sense. It seems like they’ve forgotten that part of a luxury is a compliant and quiet ride, something driving a previous gen CTS gave me the impression of. Wouldn’t “Old Toupee” be more appropriate? We argue the name and its target market sector of this Cadillac, but it is the first modern GM rear drive chassis that can compete head on with German bands and Lexus. This chassis is more advanced than the ten Lexus LS and GS. Their design jargon sets my teeth on edge. Standard of the Whirled parts bin. GMC trucks in drag and push-rod Chevy V8’s does not make a luxury brand no matter how much bling is tacked on. Time to give it a rest. Fast ≠ great. To be fair, the car in question (STS) always used the Northstar V8, which was Cadillac only. The STS never used an LS engine; that was the CTS. Second, the new 4.2-liter twin-turbo V8 in the CT6 V-Sport is a Cadillac-only engine, sort of a reboot of the Northstar family. To badly paraphrase: Pity Cadillac, so far from God, so close to BMW! Geez! What is Cadillac supposed to build? A tarted up little cross over? A blinged out oversized SUV? A hot performing mid size sedan that shares a platform with the Camaro? Oh! The’re already building those! Cadillac continues to grind out their money makers, the competent mid range CTS and the real cash cow, the Escalade. I really thought that their recent CT6 would be a game changer. It was once said that “the Sun never sets on the British Empire!” History has recorded how that turned out. Now Cadillac is living in their own shadow. The new World Order seems to have reduced Cadillac to a “near luxury” brand. At least Buick is still pretty successful. The ATS and CTS aren’t really money-makers; in fact, they regularly sell for thousands under MSRP. That’s not to say they aren’t great cars, though. I was about to comment about how awful those fake add-on fender vents look, but then I did some research, and found out that’s how they came from the factory. Did that thing get caught in a hailstorm? 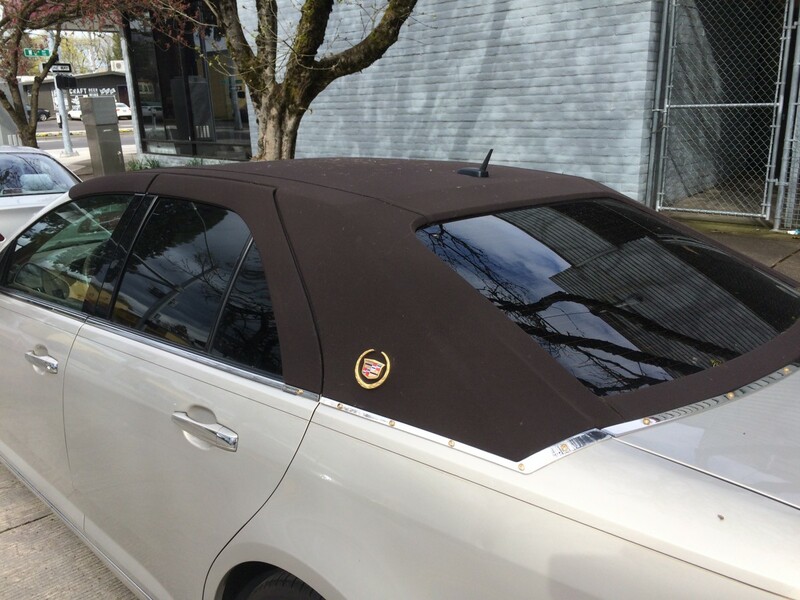 The only reason for a vinyl toupee aftermarket is to hide damage cheaper and easier than reskinning a roof, used to be a quik fix for hail damaged used cars bog up the damage a quick respray and a vinyl top back on the yard next day. Or it might be covering up the weld seam from a cut’n’shut repair job – I had a mate fall for that once. Either way, an aftermarket vinyl roof is a sign of a bodgy repaired wreck in our countries. I think it’s part of the American aesthetic that we don’t just get, Bryce. Old Pete, there are those of us in America who still don’t understand the canvas toupee method of “styling”. “vinyl toupee”. 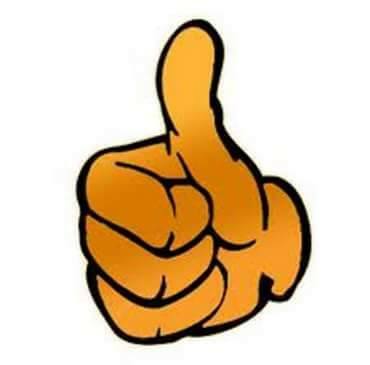 Don’t think I’ve ever heard that one….very good!! Living proof that nobody does tasteless and tacky in the pursuit of additional profit than an auto dealer. Those guy don’t give a damn about how bad it looks, as long as the bottom line goes higher. What gets me is these executions are vastly worse than factory executions from 50 years ago, even aftermarket vinyl top conversions from back then used better more streamlined trim. Long time hater of vinyl roofs here, hated them with a passion, but this one seems to almost work on this car, they correctly left the A pillar part of the doors free of vinyl. i can see how an older gent / lady may want this installed on their Cadillac. Running away now … fast. On an another note, looks like the Corolla is sporting a Camry dent. Unfortunately it is not a simple Vinyl Roof, it is a Fake Convertible Top (with sunroof always a laugh). Look closely at the back window, see the snaps on the chrome trim below it, for the (never happening) tonneau cover attachment.